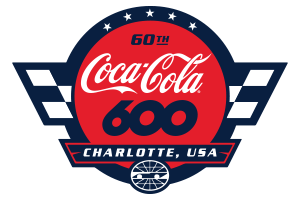 Before world-class chef Robert Irvine gives the command for 40 drivers to start their engines in Sunday's Coca-Cola 600 at Charlotte Motor Speedway, the event's grand marshal spoke with media about his special opportunity. Irvine's visit to the speedway came thanks to Coca-Cola and the USO, who have teamed up with Irvine's Robert Irvine Foundation to assist thousands of military members and their families. "The USO is 30,000 people a day who do random acts of kindness and don't get paid, but they make sure our men and women in uniform are taken care of," Irvine said. "Coca-Cola and the USO have done amazing things, along with our foundation, for that cause. We've fed a lot of troops. It's really an honor when you think about the USO and Coke's connection. They've been partners for 77 years. Everywhere we've had a war, we've had USO and we've had Coke." The South Carolina-based, Spirit of Hope Award-winning chef said he was privileged to visit America's Home for Racing. Irvine has hosted or appeared on Food Network shows including "Next Iron Chef," "Restaurant Express," "Chopped: Impossible," "Guy's Grocery Games: Impossible," "A Hero's Welcome" and "Food Network Star." Thanks to his unfailing commitment to the military, Irvine is also a United States Navy Honorary Chief Petty Officer. "Being a grand marshal today is one of the most special honors of my career," Irvine said. "I'm a NASCAR fan, so I'm very used to this environment. I think it is the best sport on the planet because you can see kids, moms and dads having fun in the same environment. NASCAR is America's sport and it's becoming better and better. "I've had a lot of firsts in my career and this might rank No. 1. 'Drivers, start your engines,' those words start the biggest race of the year that lasts 600 miles. This is more than just a race for people. This is for the men and women who we've lost. This is their day. This is what Coke and the USO stand for. I'm honored to be here. The race, I'll love that, but this is an emotional time for me because I spend a lot of time with families and this is what represents them and their legacies."